Despite the cold wind we had a fantastic turn out for our first session of 2015. 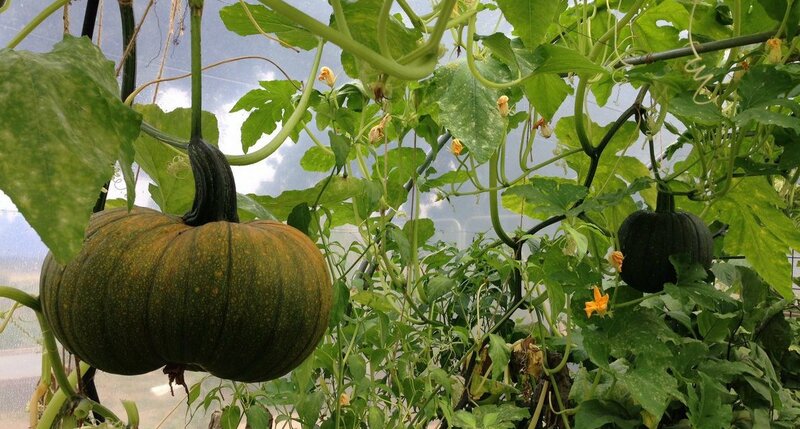 The Spinney beds had a major makeover turning the mound which had supported pumpkins and squash over the last two years into two beds edged by logs. Most elegant. 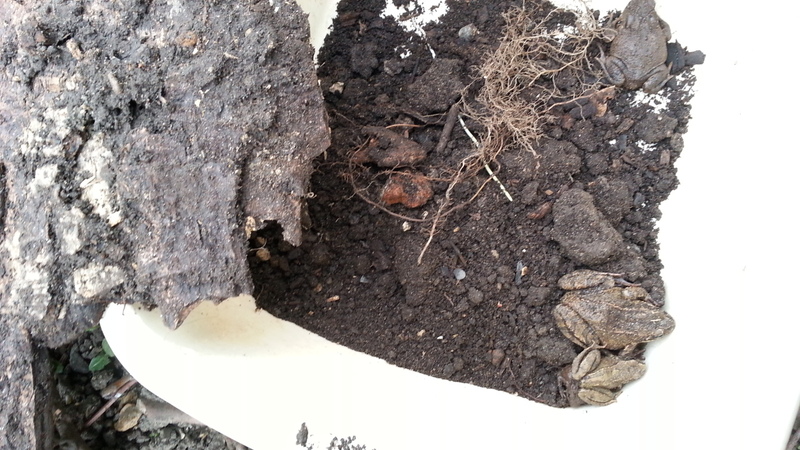 We found hibernating toads and frogs under the logs which we treated with care and replaced at the end of the day. 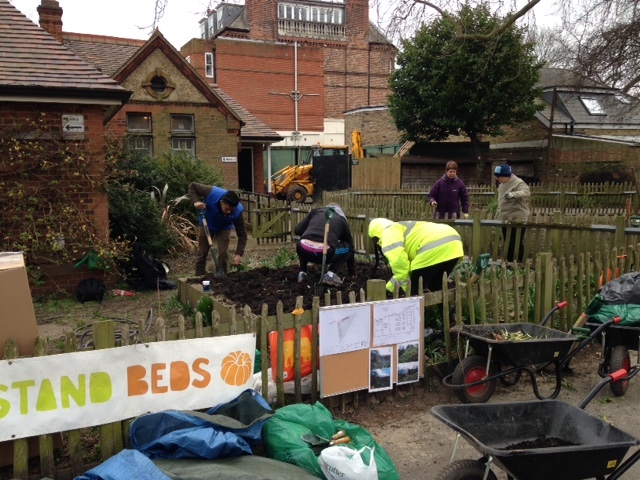 The other two beds were weeded and top dressed with compost. All the black currants and gooseberries received some top dressing and new plants of rhubarb and gooseberries planted. Even the Bandstand beds got a tidy up. 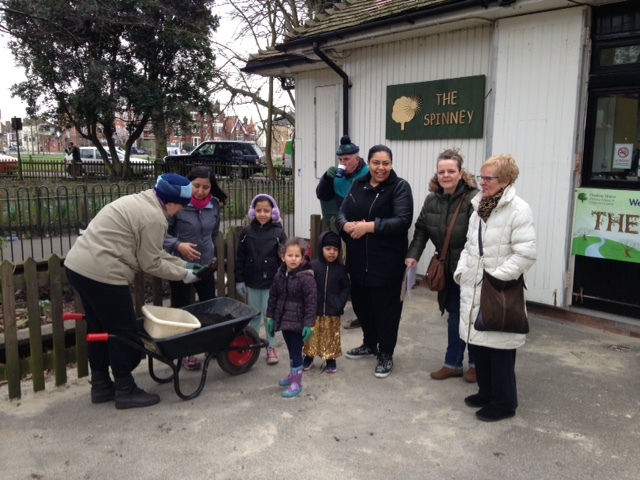 The Spinney nursery supplied welcome hot drinks and received strawberry plants in return for their own raised beds. 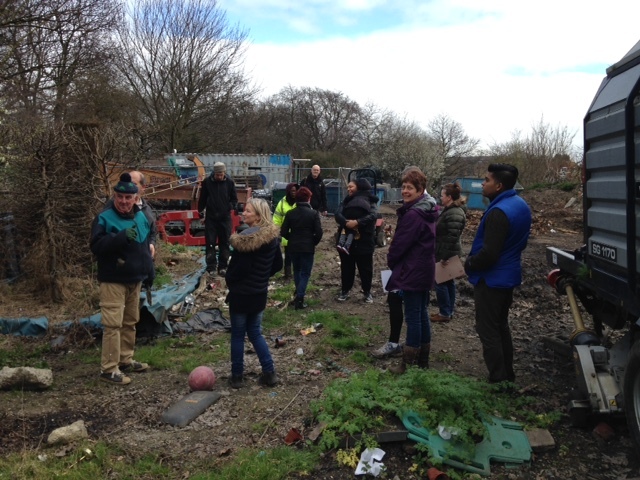 Amongst all this activity David took people to see the new site for the Community Food-growing Garden at the Green Waste Deopt. Loads of interest and enthusiasm in this major new project from everyone who came along today. All the compost came from Veolia and Incredible Edible Lambeth supplied information on compost and manned a compost giveaway at the edge of the Green Waste Depot.